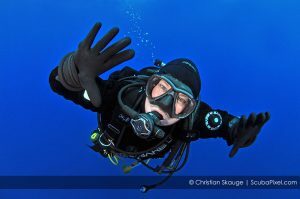 In September 2013 you can hone your skills in underwater photography with top Norwegian photographer Christian Skauge. The photo workshop, unique in Malta, is organized by Dive Malta and Norwegian tour operator DykkeBazaar. For a full week (14-21 September 2013) participants will learn about photographing wrecks and caves underwater from lectures and hands-on tutoring on site. Workshop topics include equipment and lens choices, natural light versus strobes, angles and composition, image review and post-processing. The up to twelve participants will also enjoy a wreck photo Master Class which will be done in the evenings, at the hotel, together with the lectures. Participants can fly in from where they live and will stay in comfort at the Cavalieri Malta Hotel during the workshop. Prices from €1.650 including flights, transfer, workshop, accommodation (7 nights in shared twin rooms with breakfast) and 12 dives (4 boatdives), two daytrips to Gozo, 4 workshop lectures, ½ day guided tour of Valetta and Medina and dinner at the trendy Zeris restaurant on the last evening. The itinerary includes dives on famous wrecks like Um el Fahroud, HMS Maori, P-29 Boltenhagen, as well as MW Karwela on neighboring island Gozo and, of course, the great Blenheim Bomber aircraft wreck. The Blue Grotto and Ghar Lapsi cave will also be visited. In Gozo there will be dives on the world famous dive sites of Blue Hole and Inland sea, which offer spectacular caves and rock formations. 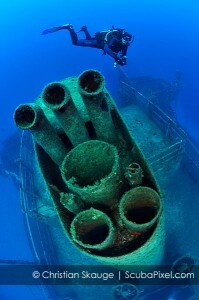 The second daytrip will be by boat to dive the wreck of Karwela, a 50 meter long ferry scuttled as a dive site in 2006. 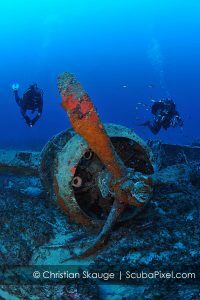 Completely intact, this wreck has been prepared for safe penetration and is a great dive. On the way back to Malta there will be dives in the Cominos caves. 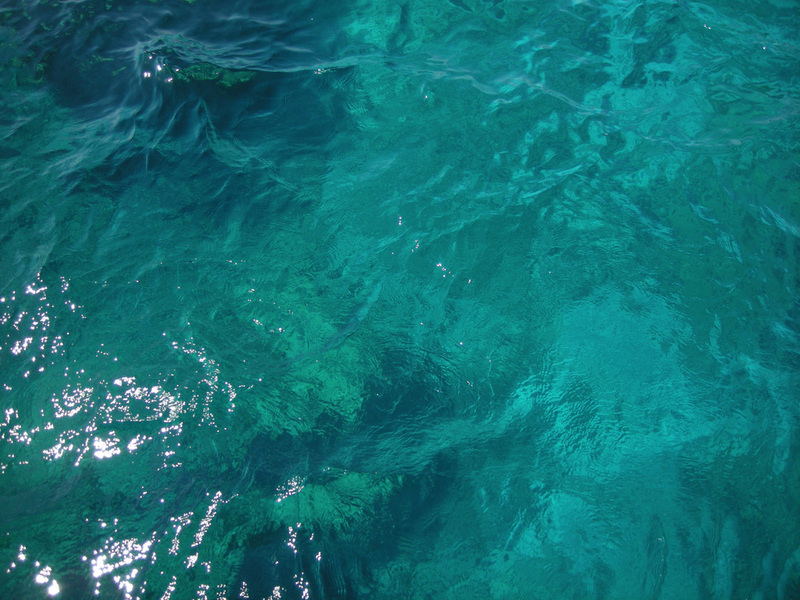 September has an average temperature of 22-27°C in the air and 24°C in the water. Dive Malta is a certified BSAC dive center with extensive wreck and cave diving experience in Malta. They will cater for the participants to make sure they get the very best of what Malta has to offer. Christian Skauge is an award-winning underwater photographer and photo journalist. His work has been published in numerous dive magazines around the world. You can book through DykkeBazaar which is a registered tour operator with the Norwegian Travel Guarantee Fund. Read more about this unique workshop at www.scubapixel.com or contact directly Christian Skauge at chris@scubapixel.com.